I have over 25 years’ experience in education. Prior to re-joining ISS International School, I served as the Associate Director of Accreditation for the Council of International Schools (CIS). In this role, I have evaluated international schools in Europe, Asia and the Middle East, and was responsible for overseeing international school evaluations in Asia (including Singapore). My other responsibilities included research and development, teacher training, and government relations. I have published various papers on school improvement, the development of global citizenship skills and effective administration. 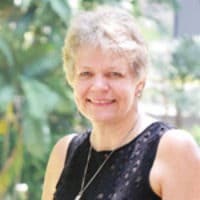 I am an IB trainer and am also the Chair of the Board of Trustees of the East Asia Regional Council of Schools (EARCOS); the Council that supports international schools in our area. I was part of the team that designed the CIS protocol used to measure the quality of international schools and was responsible for designing the protocol CIS uses during joint evaluations with the International Baccalaureate (IB). Before joining CIS, I served ISS International School for thirteen years in various roles including Head of World Languages, Head of High School and Head of School. During this time, I introduced the three IB programmes (IBPYP, IBMYP and IBDP) to the school. 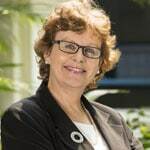 I started my career as a French and German teacher within government schools in the United Kingdom then moved to Europe where I taught English as an Additional Language, French, German and Spanish in European International Schools. My educational philosophy places student learning and wellbeing at the heart of everything a school undertakes. The leadership model I have designed is informed by my observations, research and many years of experience as a school leader and evaluator. I am married to Antonio and have two daughters who are both ISS graduates. I have always had a passion for learning and technology has been the vehicle for providing me with opportunities to share experiences with my students from around the globe. Being an educationalist is my second career and my previous experiences support me in bringing real life scenarios to the school environment. 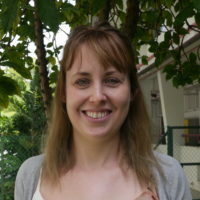 I am originally from the UK, and worked in Africa for 17 years, before moving to Singapore. I bring many years of experiences to ISS having served in a range of administrative positions in my previous international schools including Assistant/Acting Secondary School Principal, IGCSE Coordinator and Director of Technology. I have a strong commitment to life-long learning, ensuring that my role as an educator is kept up-to-date and I am fully aware of the changes that are taking place in our society. I have had opportunities to present at AISA, ISAZ and EARCOS Leadership conferences, and to attend the Suny Buffalo Master programme in Leadership-based Learning. Currently I am studying an MBA in Leadership and Management. I have always been an advocate for student well-being and promote the need for students to have a balanced life, and I support research proving that students who are engaged in regular physical activity often develop life skills such as sportsmanship, time-management, self-discipline, goal-setting, and an increased sense of self-worth. I have been teaching since 1986 and on the international circuit since 2006, with stints in Amsterdam, Hong Kong and now Singapore. My formative teaching years were via public education schools in Sydney, Australia. I started out life as a Physical and Health Education teacher. When teaching these days you will find me in an MYP Technology class and/or IBDP ITGS. When not teaching in class I have held the roles of Head of Administration, Director of Sport, Director of Technology and Deputy Principal and now Middle School Principal. I even had a position as part-time school janitor – way back in the day! As well as my work in the classroom, I have taken active roles in consulting to education departments in the UK and Australia, a committee member of the International Society of Technology Educators, board member of the Horizon Report, MYP Examiner in Design and Personal Project and written a text book for McGraw-Hill, to name a few. Outside of the classroom I am member of the Singapore Rugby Union Referees Society and the Hong Kong Society of Rugby Union Referees, try and compete in the the occasional triathlon or ocean race, and enjoy cooking a BBQ! Everything I do in schools relates to student learning and building students of good character, who respect each other and the world in which they live. I was born and brought up mostly in Singapore, leaving at age 18 to pursue a teaching career. After one year in the UK I decided to go travelling and took up a position in Dubai, before people knew where Dubai was! I got married in Dubai and spent many years teaching and leading schools in the UAE. 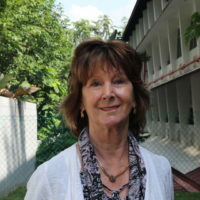 My most recent experiences are: opening an IB school in Hanoi, Vietnam; Interim Primary Principal at UWCSEA in Tampines; an interim whole school principal position on Elcho Island in the Northern Territory in Australia; and a six month consultancy/principal position in Dar es Salaam, Tanzania. I love being in schools and working with diverse students. Having grown up in an international school and having always enjoyed mathematics, sharing my passion for the subject with others lead me to teaching. 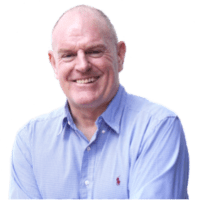 I completed an undergraduate degree in Applied Mathematics and subsequently teacher training and then enjoyed a range of experiences teaching in Scotland. The international pull grew stronger and I moved with my wife to Brunei. During an enriching eight years there I became Head of Department and subsequently Assistant Head, gaining experience with the IBDP Programme. Moving on as a family of four, the opportunities of a vibrant city and new challenges brought us to Singapore and the ISS community became our home. Working closely with students and seeing them grow through their school life and learning from their experiences gives me enormous pleasure. I strive to see students leaving school as strong individuals confident in their own abilities and able to work collaboratively with others. As a bilingual third-culture child who grew up on the campuses of international schools in the Netherlands, the values of the IB pervaded not just my schooling, but my entire upbringing, and by extension my outlook on what education should be. I am a passionate advocate for the diploma ‘Core’ and am an experienced Extended Essay Coordinator and TOK Coordinator, teacher and examiner. As a certified university and careers counsellor I believe that an IB education is the best preparation for university that students can have and I care deeply about guiding students to ‘best-fit’ higher education pathways. 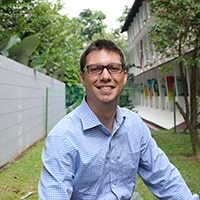 Having taught in Beijing for four years and Hong Kong for ten years, I have an enduring love for living, working and travelling in Asia and am excited by all Singapore has to offer. Outside of the classroom I am active in women’s networks and enjoy my pets, live music, hiking, and yoga.